A personalised text wall sticker for your kitchen! A fantastic design from our collection of family wall art stickers! Give your kitchen a unique touch of your own and feel the heartwarming atmosphere that your family will enjoy. 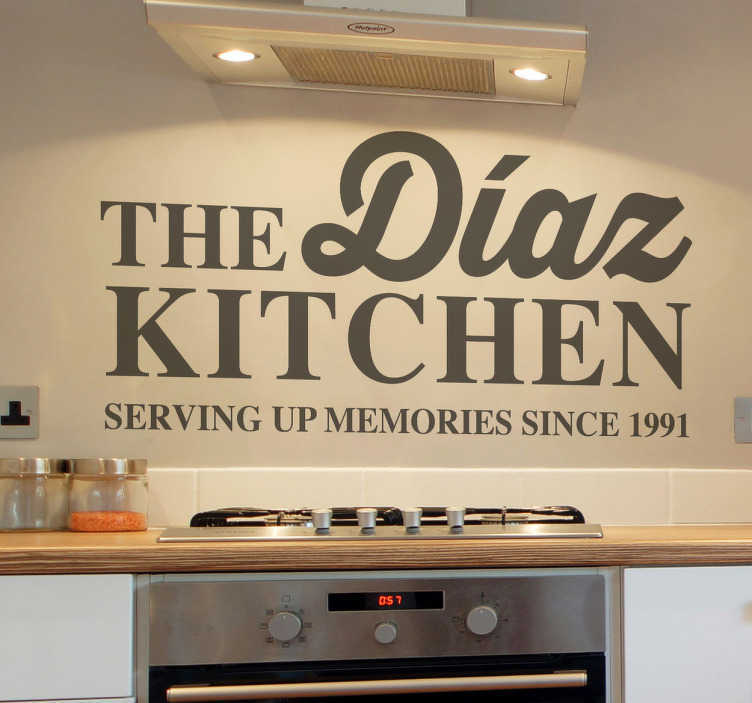 You can personalise your kitchen by placing this text wall decal anywhere in your kitchen, on any smooth surface. This family kitchen decal is super easy to apply and remove. Available in various colours and sizes. Made from high quality vinyl.